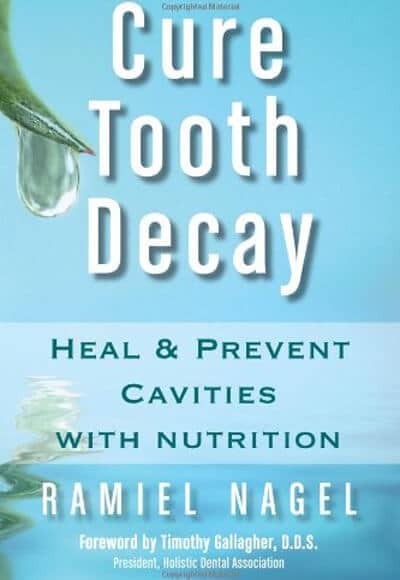 Learn to cure small cavities and optimize your dental health with the protocols in this book. Now there is a natural way to take control of your dental health by changing the food that you eat. Cure Tooth Decay is based upon the pioneering nutritional program of dentist Weston Price, former head of research at the National Dental Association. Dr. Price’s program proved to be 90-95% or more effective in remineralizing tooth cavities utilizing only nutritional improvements in the diet. With Cure Tooth Decay you will join the thousands of people who have learned how to remineralize teeth, eliminate tooth pain or sensitivity, avoid root canals, stop cavities, regrow secondary dentin, form new tooth enamel, avoid or minimize gum loss, heal and repair tooth infections, only use dental treatments when medically necessary, save your mouth (and your pocketbook) from thousands of dollars of unneeded dental procedures, and increase your overall health and vitality. Learn more about healing tooth decay with nutrition here.